Marking its 5th year, the North Texas Giving Day is looking to break their 2012 record-breaking year of donations. 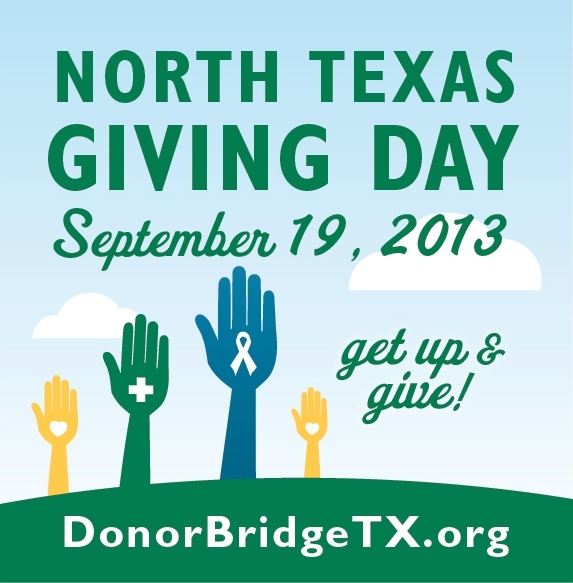 This Thursday is known as North Texas Giving Day in the DFW area. If you are interested in making a donation to some of our partner nonprofits such as; Allen Community Outreach, the North Texas Food Bank, The Salvation Army and others…make your contribution on the Donor Bridge TX site. 40,000 MEALS TO MINNIE’S FOOD PANTRY IN HONOR OF MLK DAY!